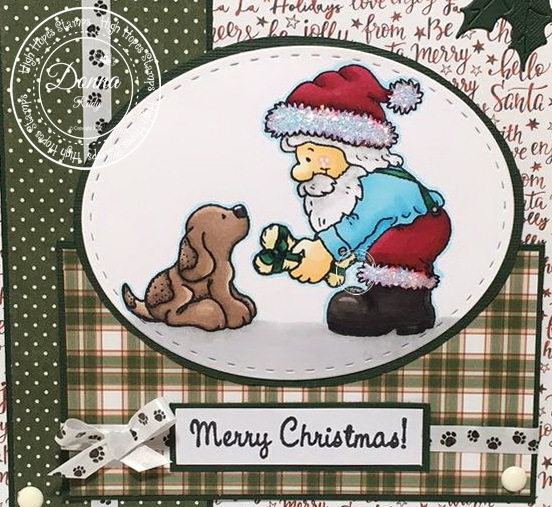 This month I got to create with an older stamp called "Christmas Treat". I have a dog and it is always fun to bring him treats - any new toy that squeaks is a hit in his world! He also loves his cheddar cheese flavoured snacks........yes he is a spoiled little man!! After colouring my stamp with alcohol markers, I cut it out using a stitched oval die. I added this super cute image to paper from the Mad 4 Plaid collection from Photo Play. 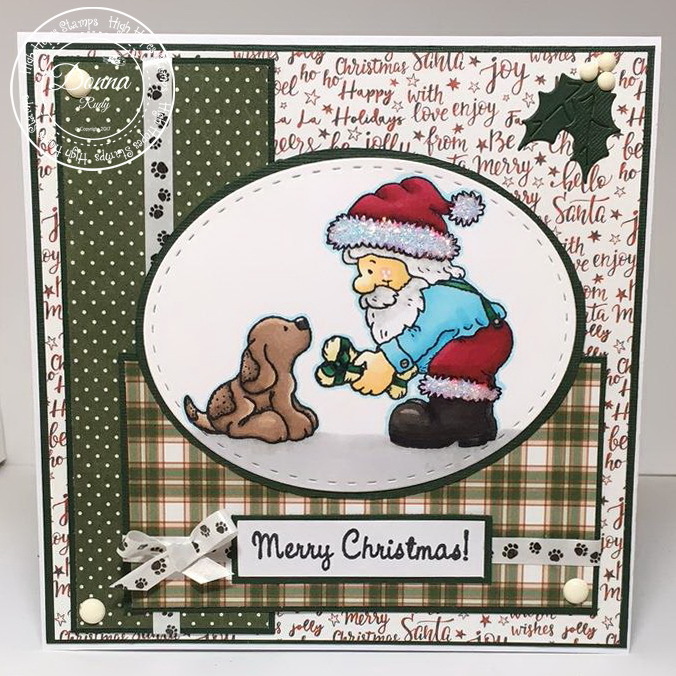 A die cut holly in the corner and some fun paw print curling ribbon from my stash and my favourite embellishment - gumdrops finish off my card. Love seeing older stamps used as they are just too cute! Your card is adorable and I l love that paw print ribbon, the perfect touch!! Super adorable Donna. Love the layout, colours and all the details. Your card looks absolutely amazing! Love how you coloured the image and your card design. Also, love the paw print ribbon. So cute!